After flirting with the idea after the Super Bowl last year, New England Patriots tight end Rob Gronkowski appears to have decided not to flirt with it this year. It took him a little longer to decide what he wanted to do than he thought it would. But it appears that he has made a decision. After five trips to the Super Bowl and three wins spread over nine seasons, Rob Gronkowski is retiring from the NFL. After talking about it last year, it doesn’t come as a big surprise that he has decided to go ahead and retire. The toll that the game can take on the body is evident in the number of injuries that he has suffered over the years. In some of his comments leading up to Super Bowl LIII, it was evident that the toll was weighing on his mind. But then he said after the game that he would decide in a couple of weeks. After that self-imposed, soft deadline passed, stories started to pop up online talking about Gronk being spotted at the Patriots facility often. However, he also made some comments to friends that gave them the impression that he was leaning towards coming back. However, then his agent, Drew Rosenhaus, while making an appearance on Peter King’s podcast, talked about the ‘opportunities’ Gronk had on the table outside of football. Among those opportunities was broadcasting—something that had not been in the conversation in the past. However, with Jason Witten leaving the MNF football booth, maybe it is. ESPN has yet to hire a replacement for Witten since he rejoined the Dallas Cowboys a few weeks ago. 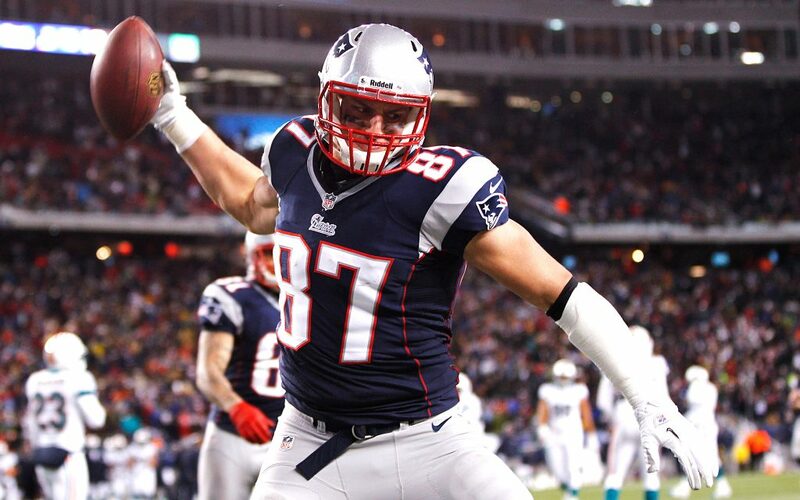 Acting is something that has been rumored to be in Gronk’s future since he flirted with retirement last year. He has had several small roles and has appeared in a handful of commercials. But according to the NFL Network’s Michael Giardi, he may already have a deal with a production company that he signed before the Super Bowl. But if that were true, why bother going through the whole charade of pondering whether to retire or not? Of course, the most important question is not what will Gronk do now but what will the Patriots do now. While he didn’t produce much last year (47 receptions for 682 yards and three touchdowns), he was still a potential threat that opposing defenses had to game plan for. If teams no longer have to fear the Patriots tight end, they can focus more on the running back coming out of the backfield or Julian Edelman. More than likely, the Patriots will end up going with a tight end with their first or second round pick; maybe even both. While they still have Tom Brady, they are going to want to surround him with the best weapons possible. Will the team miss him? Eh—they’ll miss his leadership, his willingness to do whatever it takes, and the threat he is to defenses. But they won the Super Bowl without him being a major contributor last season. There is no reason to think they can’t do it without him contributing this season.